Here is the perfect fashion accessory for any Melissa Etheridge fan, whether you are using it to tie back your hair or wipe away sweat at a summer music festival or at the gym. You can also wear it around your neck as a scarf or tuck it into a belt loop to keep it handy. 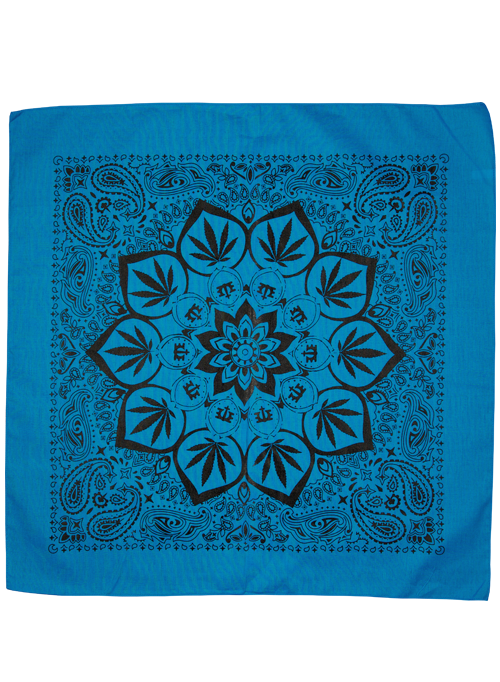 This official Melissa Etheridge turquoise bandana features multiple images of her well-known ME logo surrounded by marijuana leaves and a psychedelic paisley design. This high-quality artwork is printed onto a turquoise 22-inch by 22-inch 100 percent cotton Tan%u2019s Club 110220_PC bandana. Keep yourself or the Melissa Etheridge fan in your life well-stocked in official gear and support this fine musician!